April 1/18 2:15 am - Trump to Kick Canadian Cyclists Out of U.S.? In his latest salvo against globalization, U.S. President has suggested he will start restricting foreign athlete access to the U.S., specifically mentioning Canadian cyclists and hockey players as potential targets. In a tweet, Trump said: "Too many cyclists from Canada taking jobs away from American riders on USA teams. This is BAD and should STOP. Maybe time for quotas???" It is true that numerous Canadian riders are racing for U.S. pro teams, with Rally Cycling in particular loaded with Canadian talent and management. Other teams with Canadian content include Tibco, Sho Air-Twenty20, UnitedHealthcare and Elevate-KHS, plus Mike Woods with EF Education First-Drapac. 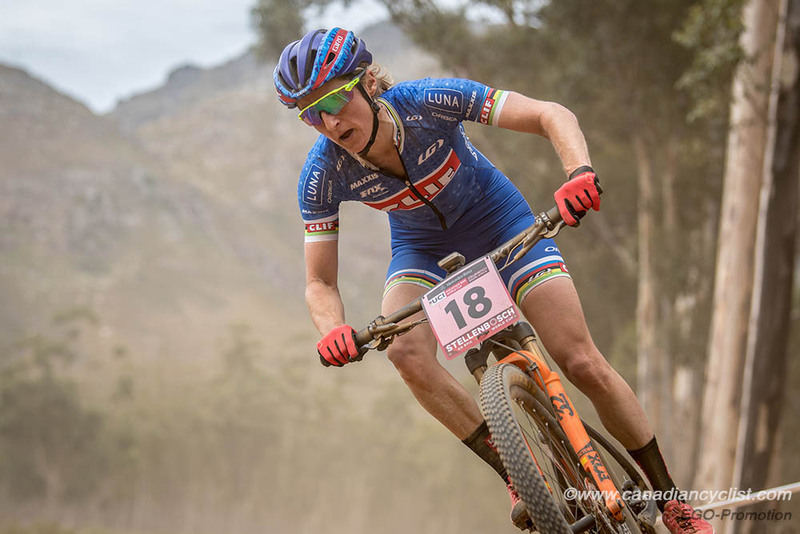 On the mountain bike side, both Catharine Pendrel and Emily Batty ride for American teams. "Can we help it if Canadians are so good?," commented Jake Erker, GM at Rally (and a Canadian himself). While experts say that hockey is unlikely to be a target, given the number of U.S. teams in the league and the U.S.-base of the NHL, they suggested that a cycling ban could be an easy win for Trump without causing too much trouble to billionaire owners. Canadian athletes riding for U.S. squads usually require a special athlete visa, and normally that is pretty straightforward, however, if Trump wanted to, he could possibly start restricting the number of visas available. "We are monitoring the situation," said Erker, "but so far this is just a random comment."